A family-run campervan rental in Ararimu, Auckland, Vivo Campervans features a fleet of all 6 berth units that provide comfort and space to families in need of a quality road trip. With space and comfort in mind, this local rental company makes sure to provide a convenient holiday the moment they meet you at the airport up to refund of your security deposit. Vivo Campervans may not be that popular, but they are a nice substitute to large, not-so-friendly rental companies in Auckland. Accordingly, there would be more personalized rentals, customized itineraries, plus your kids can wander around their small farm with horses and livestock while you attend the short familiarization drive! But just take note that the company's rental only revolves around their high-specification campervans that cater families up to 6. 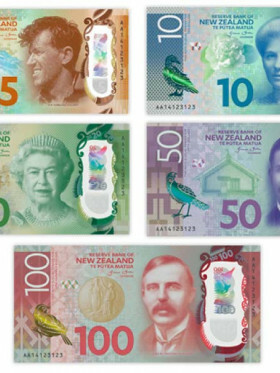 The rates are not directed to the budget market but could be close to mid range up to high-end prices. Since this is a small family-owned entity, they only have a limited selection of campervans— all of which are 6 berth units with 150-horse power diesel engine paired with a powerful six-speed automatic transmission, making it very easy to maneuver like that of an SUV. Their fleet of premium Fiat and Ducato vehicles are all under 1 year old, which is very attractive, with less wear and tear issues. Designed for comfort and fitted with all essentials, Vivo Campervans allows you to have a relaxing self-drive NZ vacation. The set of Vivo campervans are composed of three units of the same models based upon a Ducato Chassis, with the interiors designed by popular Benimar. The Weka, Fantail and Tui are diesel powered for economy and are equipped with safety gear that includes fire extinguisher. If you are with your kids, you can request for child restraint seats. For better driving, the vehicles come with armchair style drivers seat, large rear view mirrors, and Navman GPS system. Aside from the 230v/50HZ New Zealand powered, each unit has a built-in USB charging ports. The campervans are well fitted for a group up to six adults. Choose your own sleeping area— rear single bunk beds, cab-over double bed or sofa sleeper. A single set of duvets, sheets and pillows are provided for your comfort. Also on board is a full bathroom with shower & toilet, including a hot water system. For kitchen needs, there's a large-sized fridge with freezer, three burner gas hob, oven, stainless steel sink with hot/ cold water options, toaster, kettle and all other kitchen utensils. And for your entertainment, you are equipped with a satellite flat screen TV. The insurance excess is quite high at $5, 000, but you can reduced it to none if you avail of their Excess Waiver Fee at $24/day. The additional amount only applies to damage/ loss for single vehicle, so if you want to include damage/ loss for multiple vehicles and/or property, that's another $24/day. Aside from that, you will be required to pay a $5000 deposit upon pick up your campervan. 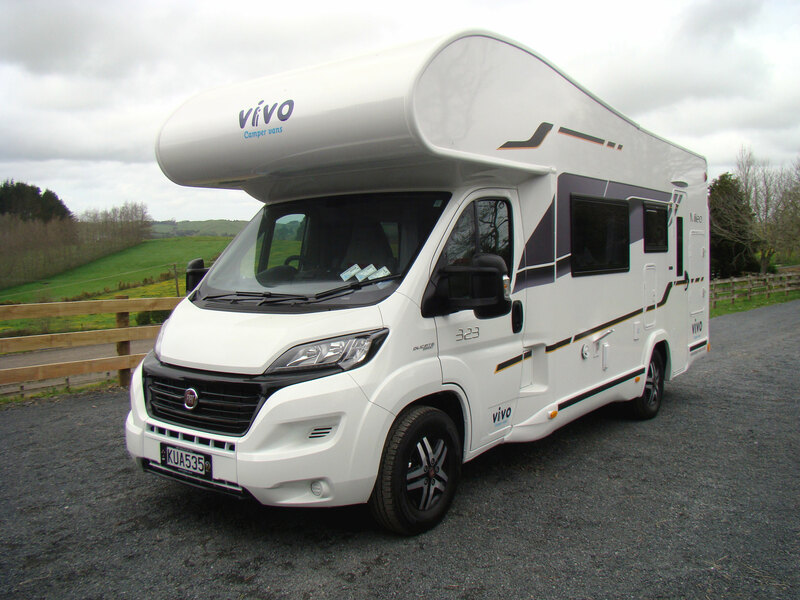 Not really well known in the campervan rental industry in Auckland, Vivo Campervans remains to be a pleasant replacement in case your reservation from big companies didn't push through well. They are small, quaint and unhip with the tough competition among other rental businesses, and religiously maintains their fleet of quality 6-berth units. Their character, however, couldn't be truly verified because of their unpopularity. For a breath of fresh air from commercialized rentals, you can hire a premium 6 berth campervan with personalized rentals from Vivo Campervans. Just be open with all possibilities on hand— whether good or bad!